Experiments have been carried out in controlled laboratory settings on isolated species but not in the open ocean where the effects of CO2 interact with variations in light, temperature, water flow rate, and the availability of nutrients. Only in the open ocean can all of these factors be assessed in unison on the entire coral community. Our ability to deal with any future damage to coral reefs depends upon this knowledge. 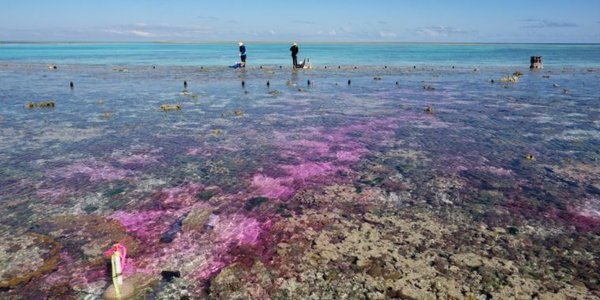 A group of marine biologists took advantage of the structure of a reef at One Tree Island in the southern Great Barrier Reef to set up an experiment in an otherwise natural environment.